Richardson RFPD Inc. announced the availability and full design support capabilities for the latest mXTEND™ SMT multiband antenna from Fractus, S.A. The Fractus mXTEND antenna boosters leverage Fractus’ Virtual Antenna™ technology to reduce design cycle times by replacing time-consuming, high-NRE custom antenna solutions with miniature, standard, off-the-shelf components. Nokia will introduce its 4.9G technologies by the end of 2017, allowing operators to dramatically enhance their network performance and manage the significantly higher infrastructure demands on the path to 5G. A 4.9G massive MIMO Adaptive Antenna will also increase cell capacity by up to five times, while a new 4.5G Pro AirScale Micro Remote Radio Head (RRH) will allow operators to take advantage of unlicensed spectrum to enable Gigabit speeds. The University of Bristol has been awarded a £4.3 million grant from the Engineering and Physical Sciences Research Council to lead a new project to develop GaN-on-Diamond microwave technology. WIN Semiconductors reported a soft December quarter (Q4), reflecting the seasonality of the mobile phone market. However, revenue for the full year grew 13 percent. Q4 margins declined from a drop in capacity utilization and a decline in the value of gold inventory, reflecting the drop in gold prices. Mobile filter start-up Resonant Inc. announced that one of its customers has shipped more than one million pre-production SAW (surface acoustic wave) duplexers, covering three high volume mobile bands, to four handset manufacturers. These are Resonant’s first pre-production shipments. 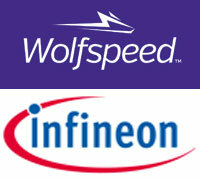 The Committee on Foreign Investment in the United States (CFIUS) concluded that the proposed acquisition of Wolfspeed by Infineon "poses a risk to the national security of the United States." Infineon stated in a press release "that there is a considerable risk that the transaction, as agreed, is not going to close." Integrated Device Technology Inc. (IDT) introduced its next-generation 10 Gbps-class millimeter wave (mmWave) modem for wireless infrastructure carrier deployments in both access and backhaul. The IDT® RWM6050 is the industry's first highly integrated mmWave dual modem (PHY + MAC + ADC/DAC + beamforming) for applications such as fixed wireless broadband access, WTTx (wireless to the edge), small cell backhaul, 5G service and other emerging applications. Joe Madden, Mobile Experts, Campbell, Calif.
By fall, AT&T is planning to conduct field trials of its millimeter wave propagation over power line technology named Project AirGig. AirGig has the potential to provide Gbps data rates without incurring expensive construction costs.